Shaun went above and beyond by coming in on his day off to deliver my new car to me. He was very pleasant to deal with and the whole process was easy. 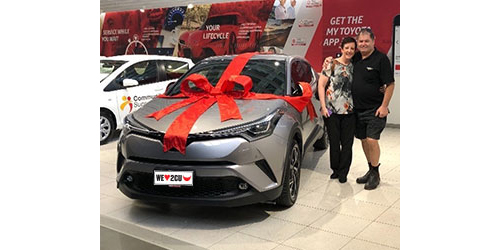 We are absolutely thrilled to bits with our new Toyota C-HR. It is absolutely beautiful to drive and has exceeded our expectations. This is the 5th vehicle our family has dealt with CMI Toyota and each time has been a very easy process. Thank you CMI Toyota! This is the second vehicle I have purchased from CMI Toyota and Carley in particular. The process is always smooth and Carley does a great job. She listens to my needs, is always attentive and does what she says she’s going to do. I have recommended her to several friends and will do so again. A big thanks to Carley for making my experiences comfortable and also Danny, the sales manager, for assisting with this latest purchase. The CMI Team were ever so helpful! I am normally not easy to deal with as I am very thorough when making a decision, and trust me.. I changed my mind on the car several times but ended up going for the Rav! Despite creating more work for Eddie, he continued to assist us with a smile. Or should I say a ‘CMIle’! He was fantastic throughout the whole process. 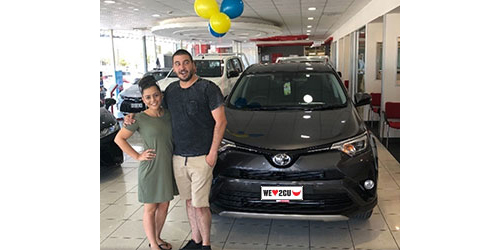 We shopped around at a few different dealers but in the end nothing compared to the product and service that we received from CMI Toyota making our decision very simple! 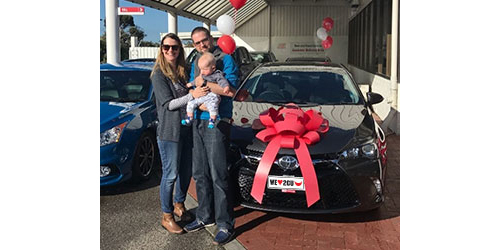 We highly recommend the team at CMI Toyota to anyone. With our next car, we will definitely save our time and go straight to Eddie! 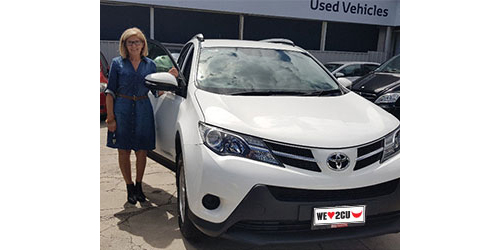 I have been very pleased with all dealings with the purchase of my Rav4. Blake handled it all very well from start to finish I feel confident that I know the vehicle well after his guidance. This goes for all the other staff that I met also - the coffee was pretty good too. 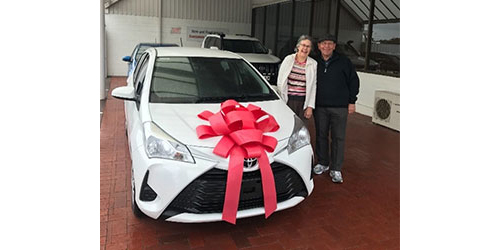 Thanks to CMI Toyota for making the purchase of our new Corolla an easy and enjoyable experience. Blake was very relaxed and great to talk to, letting me look around the cars at my own pace and was ready to answer any questions I had. The stand out part of the process was how highly accommodating Blake and the sales team were. 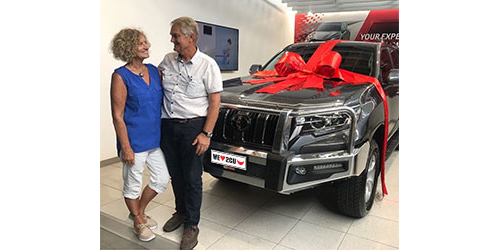 They always made sure that me and the family (including 2 young children) were comfortable and looked after on a busy Saturday afternoon at CMI Toyota, which anyone who has a young family will know is a rare thing. Brilliant service from all the staff I met along the way. Big thanks to Leah who was fantastic throughout the whole process and always kept in touch. 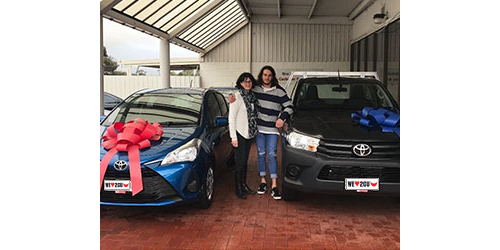 Would highly recommend CMI Toyota. CMI Toyota are an exceptional company to deal with in every way. 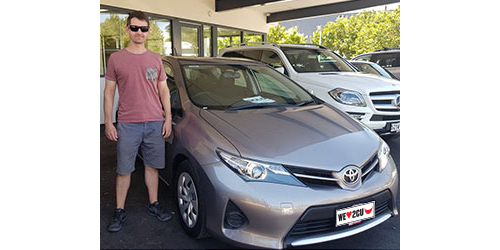 The CMI Toyota team have made the process of buying a car so easy and enjoyable. From the very beginning there has been excellent communication answering our many questions and ensuring that we fully understood everything about the sales process. 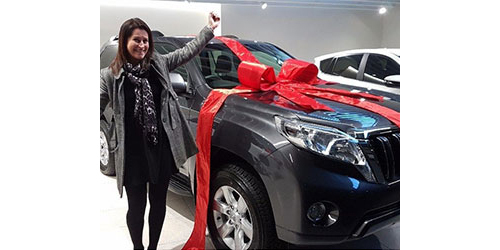 We will happily recommend CMI Toyota to everyone we know, a fantastic company to deal with. We are looking forward to our first off road adventure this weekend in our new Prado! Thank you! Very good overall experience at CMI Toyota. 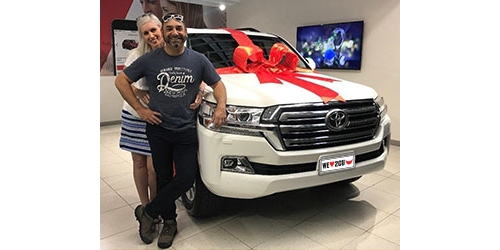 Initially we went to look at a Used vehicle but due to the 0% finance available and Toyota access package we were able to purchase a brand-new vehicle for the first time. Was a very easy process from the first test drive through to collection of the vehicle.